Lake Erie is not the only Great Lake with algae problems. Lake Ontario is facing a similar problem, according to the experts. The water quality director of the Alliance for the Great Lakes in Chicago, Lyman Welch says the algae blooms are a real threat to the entire Great Lakes region. The blue-green toxic phytoplankton made the Toledo, Ohio drinking water quite toxic. 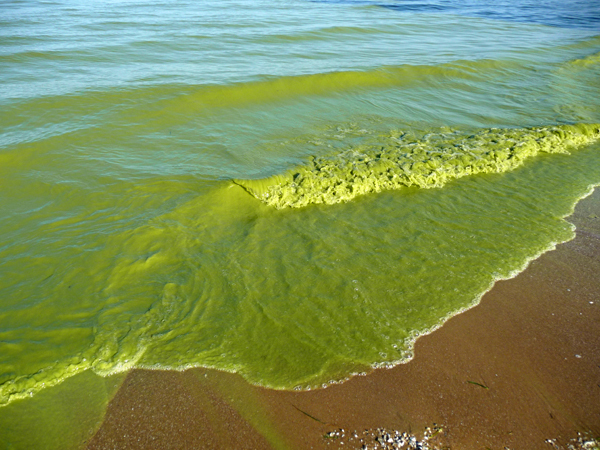 While the shallow waters and the extensive farming industry along the shores of Lake Erie makes it the most susceptible to these toxic algae blooms. Scientists see that there is a direct relation to these toxic blooms and increased farm pollution in the form of fertilizers and phosphorous. Farmers fertilize their fields with phosphorous. These toxins run off into the watershed of Lake Erie in a process known as non-point source pollution. Point source pollution happens as well. 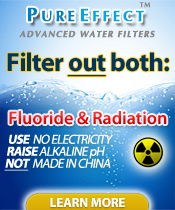 The contaminates flow from a single source like a sewage plant. What happened in Toledo should be a wakeup call that the Great Lakes must be concerned with and address. What is happening with Lake Ontario is a bit different. Scott Higgins, a scientist from the International Institute for Sustainable Development in Canada is studying the algal blooms. According to Higgins, the phytoplankton blooms in Lake Ontario are confined to shallower embayment regions where the coast forms a bay that is shallower. Lake Ontario has additional problems with benthic algae. This algae grows on the bottom of the lake. They are non-toxic, but contain a high microbial count that is potentially dangerous to humans and animals. As the summer season progresses, these blooms will deteriorate and detach from the bottom floating up to the shore, typically on beaches. These cladophora mats contains high microbial counts. Some of the microbes are human pathogens like Ecoli 157 and shigella. These mats might contain avian botulism that is responsible for killing fish and waterfowl. The water program manager at the Toronto based Environmental Defense, an environmental advocacy group, Nancy Goucher says these blooms are a sign of things to come within the Great Lakes. Non-point source phosphorous pollution needs heavier regulation. This would be the simpler solution. A more complicated solution that would be better for the environment is to address the disappearance of North American wet lands. The wetlands purify the water before it flows into lakes and rivers. The wetlands serve a purpose and must be protected to insure the safety of the Great Lakes. Wetland protection and restoration is a costly venture and many government agencies will not consider this as a choice. Goucher on the other side is optimistic that this problem is solvable. “In the 1960s and 1970s, we saw blooms take over large parts of lakes, and this inspired businesses, governments and communities to come together to solve it and they did — blooms decreased for a number of years,” she said.